We’ve been doing an internal review this week of mass email providers. We’ve been trying out various providers, going over the pros and cons and so on. Imagine my surprise to see that Amazon has entered the email sending game. You’ll be able to send email without having to worry about the undifferentiated heavy lifting of infrastructure management, configuring your hosts for optimal sending, and the like. Amazon SES also provides you with access to a number of metrics that will provide you with the feedback needed to tune your email strategy to maximize deliverability. The big difference is that you’ll send your emails through an API instead of a nice, friendly environment like say Constant Contact. I’m sure that very soon, someone will write a wrapper for the API that takes a lot of the heavy lifting out of the process. You do, however, get analytics data such as deliverability stats. Pricing seems pretty reasonable as well. Email messages are charged at $0.10 per thousand messages. 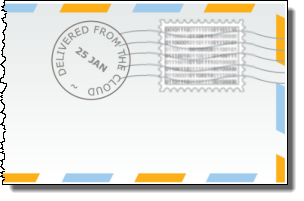 If you are using an EC2 server to send your messages, you get 2,000 messages a day free. To send 1,000 emails at say Campaign Monitor would cost you $15. Yes, that’s a bit of comparing apples to oranges, but if there’s a very nice easy to use system built on top of SES, you could see some pretty decent savings. This is interesting and worth keeping an eye on going forward. Next Next post: Sitemaps: Is there such a thing as too big? Consumers tend to think of Amazon as a store to buy products, and Web/IT folks also think about their computing-in-the-cloud offerings. As an e-mail marketer, I often think of Amazon as masters in the e-mail marketing field. E-mail delivery, tweaking e-mail message layouts and content, etc., can have such an impact on their bottom line. With an e-mail marketers eye, it is obvious that e-mail isn’t just an afterthought for them. Amazon e-mails remind me of sleeper cars dragging on Main Street back in the day. You don’t say wow when you see one, but you learn to respect them for the power they have. And their e-mails very rarely hit the spam folder, at least for me. I can rarely say that for a company. Now Amazon is offering some of their e-mail infrastructure talent to businesses large and small. It will be interesting to see this play out, and what sort of ripple effect it has on the e-mail marketing industry and e-mail service providers. How long before Campaign Monitor or some of these other services shift their infrastructure to rely on Amazon’s? Especially if they can pass the savings along to their customers (and gain a competitive advantage). Chas, I think one of the things that services like CM and others are going to have to struggle through is getting their mail being sent through SES to not get marked as spam. I would guess many people have been using Rackspace and EC2 cloud servers as mail servers for awhile, and many ISPs probably block the entire EC2 IP address block. For this to really succeed, Amazon will have to really get trusted sender and other things right in this API/Service. I think they can.